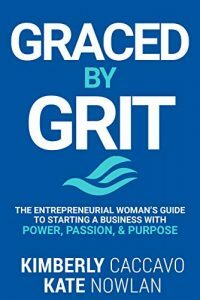 Kimberly brings technology and business experience to GRACEDBYGRIT. She received her BS in Chemical Engineering from UC Berkeley. She was a research engineer focused on metals used in the space shuttle and later on ceramic heat engines. She LOVED it. She then entered the business world, received an MBA from UCLA and held a variety of executive positions: ran the telephone directory business; helped privatize a latin american phone company; started a cable company; worked in Hollywood and had her own consultancy helping people start businesses.